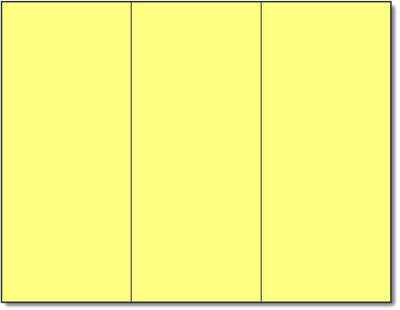 This blank Yellow colorful brochure is made for use on Inkjet and Laser printers. The brochure paper is made from an 8 1/2" x 11" Yellow 90lb (162 gsm) index stock. Scored for easy folding.